Legendary athlete Carl Lewis will be the event ambassador of the TCS World 10K Bangalore in May. The arrival of King Carl makes the May 18 race one of the biggest events in India’s sporting calendar. 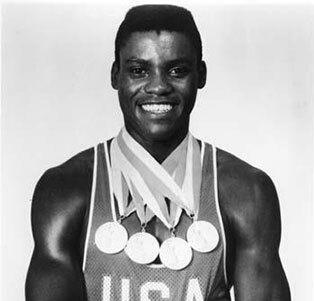 “It would be Carl Lewis’ second visit to India, and we are excited. We were looking at some other big names in sports, including Wimbledon champion Marion Bartoli and former champion Goran Ivanisevic, but Carl was always on top of the list,” a top official of event organizers Procam International told TOI. “It gives me great joy to come to India, a country I love and respect, to spread the magic of running and sport amongst the beautiful populace. In the last decade or so, India has witnessed a running revolution and the sport has grown manifold,” Carl Lewis was quoted as saying by Procam. “The TCS World 10K is an ideal blend of speed and endurance and I’m sure the run will attract many of the best in the world. It’s an honour for me to be associated with the event and witness, in action, these running enthusiasts. I hope my presence will only inspire and encourage them to reach greater heights of performance and success”, said the legendary Olympian talking about the run. In July, Lewis had called up ‘Flying Sikh’ Milkha Singh after watching Bhaag Milkha Bhaag to convey his regards to the veteran after learning about Milkha’s hard work that got him to the top of the charts in 400m. Vivek B Singh, joint managing director, Procam International was excited to host the legend. “We’re privileged that Bangalore will host Carl Lewis. I’m sure he will provide a further fillip to the world’s premier 10K in terms of charity and registrations. Hosting the ‘Sportsman of the Century’ is our gift to the running community for supporting us at every step of our journey,” he said. According to industry sources, the 52-year-old American, who has a stunning collection of 10 Olympic medals including nine gold, commands a huge appearance money. “He is one of the all-time great athletes and his appearance fee would easily be in the range of $45,000 to $50,000 for such an event,” they said. Lewis competed in four Olympic Games from 1984-1996. He won nine gold medals, including four at the 1984 Games in Los Angeles reigning supreme in 100, 200, 4x100m relay and long jump. At Seoul in 1988, Lewis won the 100m gold after Ben Johnson was caught for doping. Four years later in Barcelona, Lewis leaped to 8.67m to win the long jump. In the 400m relay, the world record of 37.40 seconds set by the American team anchored by Lewis stood for 16 years. At Atlanta in 1996, Lewis qualified for the American team a record fifth time. He went on to win the long jump gold and became one of only three Olympians to win the same individual event four times.